Another very visible station is Lappin Communications' stand-alone combo of WMAS (1450 Springfield) and WMAS-FM (94.7 Springfield), which has been located off US 20 on the east bank of the Connecticut River for what seems like forever. 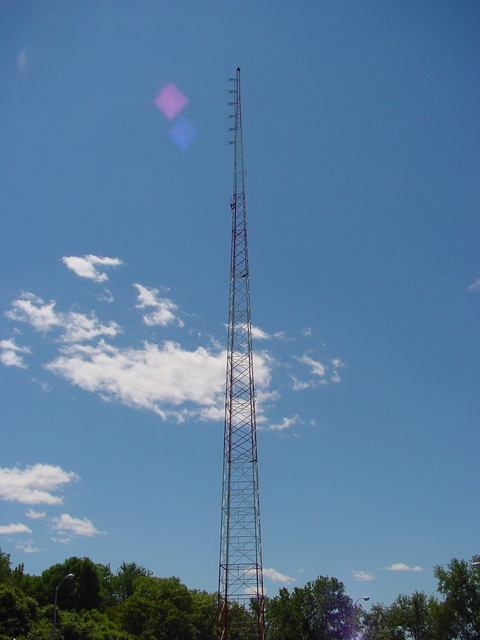 WMAS-FM is a heritage full class-B, and that six-bay antenna is low enough to be pumping out a full 50 kW, providing downtown penetration that its former format competition lacked. If you look very closely about half way down the tower, you'll see the top of the skirting system for the AM. The studios are located on the same property, fronting US 20.